They say rugby is the game played in heaven. Well, our idea of heaven is not having 6’8” behemoths tipping the scales at 130kg running at us, but we will take them at their word. Rugby, is a game with growing global appeal, though the rules can be difficult to decipher and even top-level matches can descend into ugly scrum battles, with ball-in-play time suffering as the clock does not stop. Rugby was once the preserve of the “gentleman athlete” but since turning professional in 1995 it has undergone a radical transformation. The sport can now pay such high salaries at the higher levels that players are regularly poached from rugby league. New Zealand’s mighty All Blacks have long been considered the benchmark team, though when it has come to World Cups they endured a lengthy drought. The Kiwis won the first World Cup in 1987 but did not again lift the William Webb Ellis Cup until 2011 on home soil, though they backed that up in great style to claim the title again in 2015. The sport is often seen as divided along hemisphere lines, with South Africa, New Zealand and Australia the big three in the south. The northern hemisphere teams traditionally play a more structured, forward-based game than their southern counterparts, with the possible exception of France, who at their best combine brutal scrummaging with dazzling back-line movement. England are the only team from the northern hemisphere to win the World Cup, defeating Australian in the 2003 final. 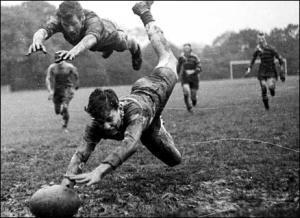 Rugby originated in England, with the popular story going that in 1823, the aforementioned William Webb Ellis, then a student at Rugby School in Warwickshire and later a clergyman, caught the ball in his arms during a game of football/soccer and ran with it. There is little evidence to support this story, though a plaque at the school commemorates the claim. Regardless, about this time the game started to evolve and the first set of written rules came out in 1845. The Rugby Football Union was formed in 1871, and a dispute over payments to players led to the breakaway formation of rival code rugby league around 1895. The game had spread quickly to the likes of Scotland, Ireland and Wales and soon after to Australia, New Zealand and South Africa, three countries which have seven of the eight Rugby World Cups between them. The game has featured in the Olympics along the way. Firstly in Paris in 1900 when France won gold and then in 1908 (Australia won gold), 1920 (United States) and 1924 (United States) but it has not been played at the Olympics since. Sevens rugby joined the five-ringed circus for the 2016 Games held in Rio de Janeiro, Brazil. A notable event occurred in 1931 when NZ Governor-General Lord Bledisloe donated a trophy to be decided between Australia and New Zealand. The Bledisloe Cup now provides arguably the greatest rivalry in the sport, between the All Blacks and Wallabies, though the Kiwi team has dominated that battle. Those who love the game believe it is a far greater all-round test than the 13-a-side code, while they also point to the greater global competition. League has a strong presence in Australia and the North of England but is otherwise not the No.1 sport in any jurisdiction, with the possible exception of Papua New Guinea. The 15-man code is bordering on a religion in New Zealand, and is hugely popular in Australia, South Africa, Britain, Ireland and France and the Pacific islands. It also has a strong foothold in countries such as Argentina, Italy, Japan, the U.S. and Canada, and is gathering support in places such as Uruguay, Georgia, Namibia and Romania, etc. Played at its best, union can be a brutal, free-flowing, exhilarating game for the spectator. It shares much in common with league in that generally the forward battle must be won before the backs can find space to work their magic. The athletes of both codes these days must be powerful, quick, brave and possess sure hands. With the advent of professionalism the overall size of the players has risen. These days you will rarely find a forward under 100kg, and the back-line players are not far behind. As with most sports, creating any sort of list of greatest players is certain to draw cries of disbelief, but we’ll have a crack anyway. Here are our greatest players from the top 10 rugby-playing nations. Love him or hate him (as many rival fans do, though all respect him) Richie McCaw sits comfortably among the best players of all. Nigh on unbeatable at the breakdown and arguably the toughest player to have laced up a boot in the code. 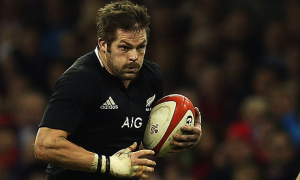 There are no shortage of contenders for the All Blacks, but McCaw gets our vote. Sean Fitzpatrick is a predecessor of McCaw’s cut from the same cloth and would be a worthy pick. Francois Pienaar. Who can forget the images of him shaking hands with Nelson Mandela after leading his Springboks to victory in the 1995 World Cup on home soil. Mandela wore a Springboks jersey as he presented the William Webb Ellis Cup. John Smit and Victor Matfield also spring to mind. Brian O’Driscoll stands head and shoulders above the field here as probably the greatest outside-centre in the history of the game. He played 141 Tests for Ireland (83 as captain) and was widely known at home as BOD. As in, “in BOD we trust”. Stiff competition here but one moment of magic gives Jonny Wilkinson the nod for us. That drop goal under immense pressure to win the World Cup for England in 2003. Incredible. A wonderful player, though that magic moment came relatively early in his career. Towering lock Martin Johnson has strong claims. Gareth Edwards, the scheming scrum-half would be welcome in any best XV team in the world. A true master of his craft. David Campese is another somewhat divisive figure but if the sport is about entertainment, he surely must be near the top of the list. Could produce moments of inspiration quickly followed by moments of madness. Honourable mention to the likes of John Eales and Mark Ella. Serge Blanco. A member of the IRB Hall of Fame, Blanco broke Australian hearts with the decisive try in France’s narrow win in the semi-final of the inaugural Rugby World Cup in Australia in 1987. The dashing fullback has scored more tries than any other for Les Bleus. Hugo Porta. The fly-half was instrumental in the emergence of the Pumas on the world stage. He led the way in their famous win in 1979 against the Wallabies in Buenos Aires. Va’aiga Tuigamala played for Samoa in union and league and also played for New Zealand. He was among the first of the super-sized wingers, blessed with incredible pace for a man of his size. He became a star in the powerhouse Wigan rugby league team of the 1990s. Gavin Hastings. A great fullback who captained his country and the British Lions. Led Scotland to a Grand Slam. Flying fullback Andy Irvine is another who would carry the tag of Scotland’s greatest comfortably. There are many betting option for those interested in testing their knowledge by wagering on matches. We will go into much greater detail on betting options for rugby elsewhere. Many of our favoured betting operators also offer long-range markets on events such as World Cup winners, pool winners, top try-scorers, etc. Having the tournament in Japan for the first time negates any home-field advantage the sportsbook favourites usually hold. Which should make for an even battle between the teams from north and south of the equator. However, the list of past winners of the tournament — NZ three times, South Africa twice, Australia twice, England once — indicates the power lies in the south. And as with almost every tournament since the World Cup started, the All Blacks will go in as deserved favourites. Meanwhile,South Africa can never be discounted and have a knack for peaking at the right time, while Ireland have been most impressive in recent years and look clearly the best of the northern hemisphere teams. As for the dark horses? Look no further than Argentina, who have steadily made ground on the best teams in the world and should not be underestimated. We will stick with New Zealand to make it three in a row when the RWC final rolls around in 2019, though they are extremely short at around even money. 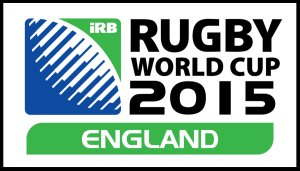 Be sure to read our comprehensive guide to everything you’ll need to know about the 2019 Rugby World Cup.